As stated in the Securities Regulation Code, Presidential Decree No. 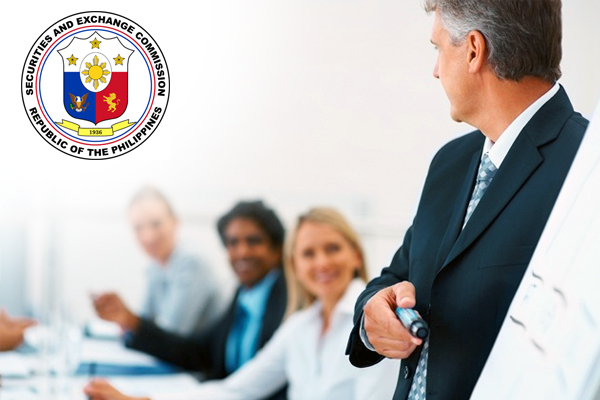 902-A, the SEC has jurisdiction and supervision over all corporations, partnerships or associations. The SEC has the right to approve, reject, suspend or revoke registration license applications, investigate, and impose sanctions for the violation of laws and rules under the Securities Regulation Code. To be able to register your business, submitting your proposed business name with the SEC is the first step. SEC will then verify if your proposed name is still available. To make the process faster, we always encourage clients to have 3 proposed business names ready in case the desired name is unavailable. Other documents such as your registration data sheet, articles of Incorporation and its By-Laws/articles of partnership and certificate of deposit of your required paid in capital, are among the many requirements needed by the SEC. Documentary requirements vary depending on your type of company formation.